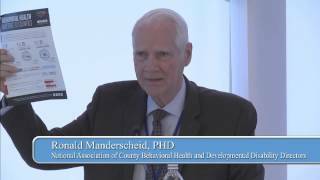 Ron Manderscheid, PhD, serves as the executive director of the National Association of County Behavioral Health and Developmental Disability Directors. The association represents county and local authorities in Washington, D.C., and provides a national program of technical assistance and support. Concurrently, he is executive director of the National Association for Rural Mental Health and adjunct professor at the Department of Mental Health, Bloomberg School of Public Health, Johns Hopkins University. Dr. Manderscheid serves on the boards of the Employee Assistance Research Foundation, the Danya Institute, the FrameWorks Institute, the Council on Quality and Leadership, and the NASMHPD Research Institute. He also serves as the co-chair of the Coalition for Whole Health. Previously, he served as the director of Mental Health and Substance Use Programs at the Global Health Sector of SRA International and in several federal leadership roles in the U.S. Department of Health and Human Services. Throughout his career, he has emphasized and promoted peer and family concerns. 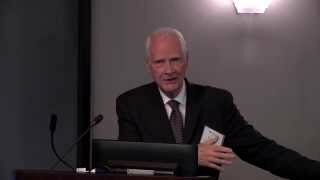 Dr. Manderscheid is a former member of the Secretary of Health and Human Services Advisory Committee on Healthy People 2020, past president of the Federal Executive Institute Alumni Association (FEIAA) Foundation, past chair of the American Public Health Association (APHA) Mental Health Section and a past member of the APHA Governing Council. 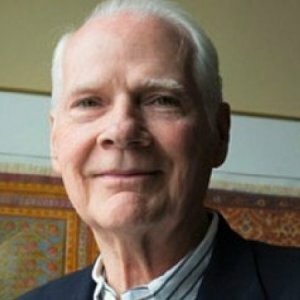 He has also served previously as the chairperson of the Sociological Practice Section of the American Sociological Association, as president of the Washington Academy of Sciences and the District of Columbia Sociological Society, and as president of ACMHA: The College for Behavioral Health Leadership. 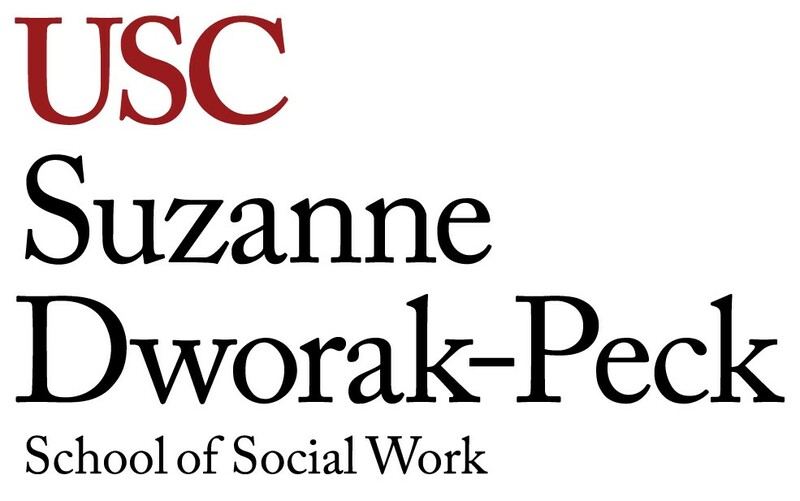 Recently, he co-edited a new text, Outcome Measurement in the Human Services: Cross-Cutting Issues and Methods in the Era of Health Reform, and contributed to a second new text, Public Mental Health. Previously, he served as principal editor for eight editions of Mental Health, United States. He has also authored numerous scientific and professional publications on services to persons with mental illness and substance use conditions. He serves on the editorial board and prepares a periodic blog for Behavioral Healthcare. Our nation’s escalating opioid crisis – with more than 144 people dying every day from overdose – will not abate without access to comprehensive substance use disorder treatment in private insurance and Medicaid. The Senate’s version of healthcare repeal would cripple national efforts to address this public health epidemic. “Doctors are afraid to say anything because they think the HIPAA police are at the door,” says Manderscheid, of the National Association of County Behavioral Health and Developmental Disability Directors. Do one in eight Oregon children and one in 18 adults suffer from mental illness? We spoke with Dr. Ronald Manderscheid, executive director of the National Association of County Behavioral Health and Developmental Disability Directors. He’s the person who developed the federal algorithm used to estimate the number of adults and children with mental illness or emotional disability. In other words, he’s a solid expert. Laura A. Pratt Ph.D., Benjamin G. Druss M.D., M.P.H., Ronald W. Manderscheid Ph.D., Elizabeth Reisinger Walker Ph.D., M.P.H., M.A.T. We compared the mortality of persons with and without anxiety and depression in a nationally representative survey and examined the role of socioeconomic factors, chronic diseases and health behaviors in explaining excess mortality. The Patient Protection and Affordable Care Act (ACA) is radically transforming the health and mental healthcare landscape. Emergent opportunities exist for clinical psychologists to redefine their role in health care. We reflect on Chor, Olin, and Hoagwood (2014) and present additional recommendations for consideration. Specifically, we highlight three points: (a) moving beyond just training and hoping; (b) recovery, not just symptom reduction; and (c) it's a healthy new world. Under each of these points, we suggest tactics for how to achieve these goals. The field of mental health has long suffered from a lack of convergence of disciplines that deal with the mind, the brain, and behavior. This mind–brain dualism has been particularly detrimental for consumers and their families who daily face stigma and discrimination. The understanding of the brain and its dysfunctions has benefited from the study of the human genome and, in particular, of the mutations and variations in its code. This analysis permits a better understanding of the biological basis of mental disease and will soon inform a generation of new diagnostic tools and individualized pharmacological therapies. A biological perspective on mental illness will be complemented by the analysis of the social factors influencing people's behavior and their impact on brain biology and gene function. Neurobiology has progressed to a level for which the knowledge that is generated, even if still colored with uncertainty, could represent a catalyst for the creation of an alliance between neuroscientists and consumers. This partnership has the potential to benefit both parties but will require some concrete steps that might be outside of the usual courses of action for both consumers and scientists. It is by building collaborations based on personal contact and information sharing that a transformation of the mental health care system can occur.